Images of Iceland and Scotland from my trip in September 2014 and again to Iceland in August, 2016 and March, 2017. Many thanks to Dimitri Vasileiou ( http://www.inspiring-photography.com) for the amazing tour around Skye and select areas of NW Scotland, and to Dimitri as well as to Mountain Explorer ( http://www.mountainexplorer.is) for touring us in Iceland. 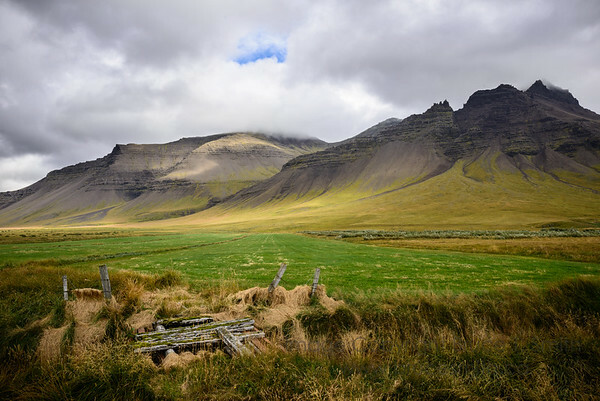 A view across farm fields in Iceland towards the barren and beautiful mountains in the distance.